Show your support to these incredible athletes by attending the next fight night being held at the Uvongo Town Hall on the 20th of October 2018 from 6:00 pm. 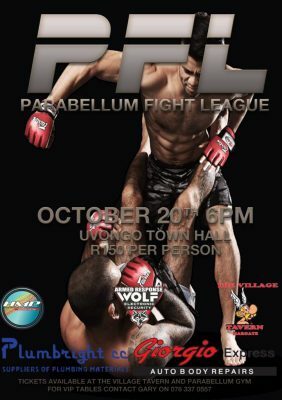 Tickets only cost R150 per person and are available from the Village Tavern as well as Parabellum Gym. For additional information on the event or to a reserve a VIP table please contact Gary on: 076 337 0557.